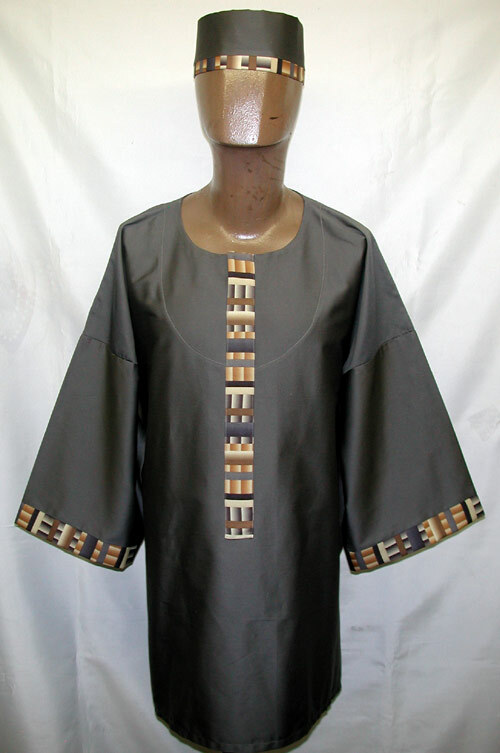 Kente trim dark gray dashiki shirt. Relaxing and comfortable way to rediscover the passion of sixty's style fashions. Hat Sold Separately Loose fitting , available in all kente colors sizes (Small to 6X-Large). Extra fee will be added to (M and 6X-Large) sizes. Perfect for all casual, memorable, family reunion occasions and gift items. Please select your dashiki shirt size!